← ‘Ang huling dalagang bukid at ang authobiography na mali isang imbestigasyon’ ni Jun Cruz Reyes. 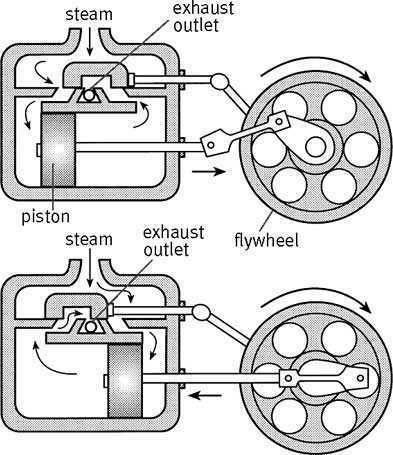 I am amazed for example at how the steam engine was invented. The inventor made use of the pressure of the steam to drive pistons to turn wheels. I wanted to know where did the inventor get the idea of using the steam pressure to drive pistons to turn wheels. Perhaps inspiration. Perhaps curiosity. Maybe he knew he could do something about the pressure so he thought of ways of using it. But to use it, he needs to direct the pressure to escape in one direction. Perhaps, that’s how the piston came about. The next question was, how does he make the piston go back to its previous position ready to kick again? Perhaps, that’s how the series of pistons that turn a rod came about. Presumptuously, I thought it doesn’t really take a genius to solve problems like this. All a person needs is an imagination unlimited by the lack of resources. But as I grew older, I realized that an invention is but a product of another invention. It’s hard if not impossible for example to make a piston by hand. By the time you finish carving your piston by hand, you must have lost your stamina to pursue your invention. So, there must be a machine to carve pistons. So, before a piston could be made, a machine that could carve a piston, for example, has first to be invented. My point is, it’s not totally true that an imagination unlimited by the lack of resources alone can make one an inventor. There’s a big difference between the realm of the mind and the realm of the physical world. We never know if the machine we imagine will work in the real world. We do not even know if it can be built, in the first place, unless we try. So, an inventor must not only have the imagination, he must also have the resources to be able to transform the imagination into reality. How many of us, one time or another, have thought of an invention that we did not pursue because we think it is impossible to build? The fact that we were able to think of something that does not exist yet means that we have the imagination. But because we think we do not have the resources to pursue it is what stops us. I am as guilty as the rest. I am not as resourceful and as persistent as an inventor. But, perhaps, the reason why I love machines is because by knowing them, I learn the workings of the mind that brought them to reality. This entry was tagged essay on inventions, essay on machines, inventions, machines. Bookmark the permalink.